I am pleased to announce that three of my large scale paintings have been selected to display in the”Mongolian Pavillion” of the 2015 NordArt International Juried Contemporary Art Exhibition at the Kunstwerk Carlshütte Museum in Büdelsdorf, Germany. The country of focus for NordArt 2015 is Mongolia with curators Oyuntuya Oyunjargal, Bodibaatar Jigjidsuren who have been integral in piecing this exhibition together. The exhibition runs from June 6th to October 4th 2015. 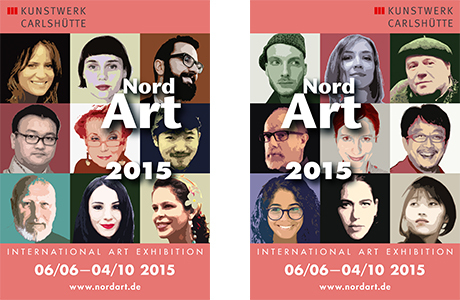 We are pleased to announce that 2932 artists from 99 countries have applied for the NordArt 2015. We would like to thank all artists for the very good response this year. The jury of the NordArt selected 250 artists from 50 countries for this year’s exhibition.